From the gallery of timeless architectural styles comes another classic: the Spanish house plan, with its touches of the fanciful, romantic, and traditional. Think warm sea breezes, shades of yellow, burnt orange, and all those lovely earth tones. Add arched windows and doors, columns, lush courtyards, balconies and patios—and you get a picture of the ever-appealing Spanish style home. 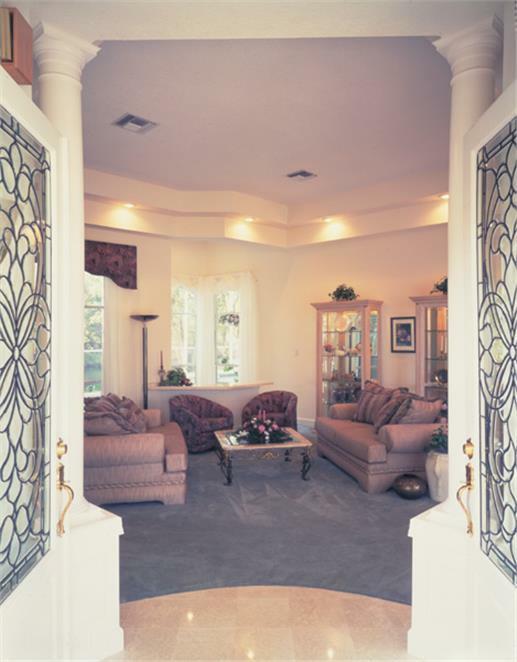 A landscaped courtyard entry leads to the arched doorway of this attractive two-story Spanish-style house. 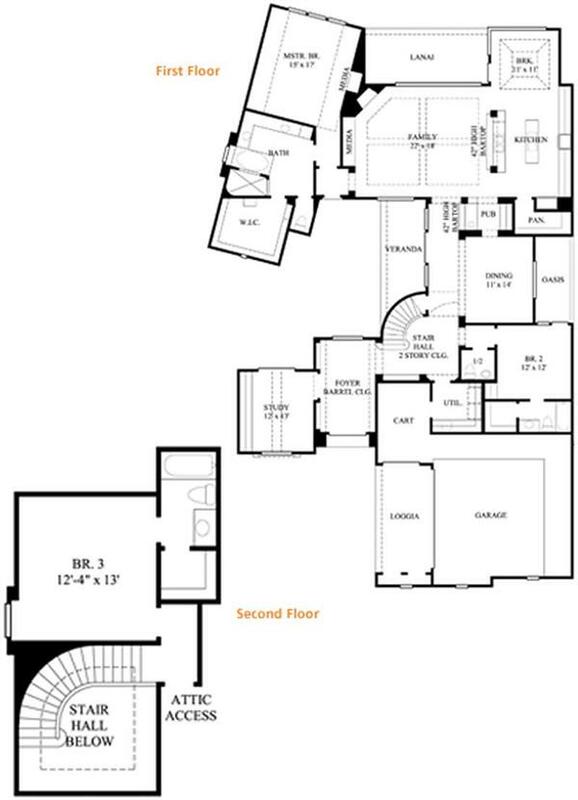 The main-level floor plan illustrates all the luxury features of the home, including a veranda and oasis (Plan #134-1210). 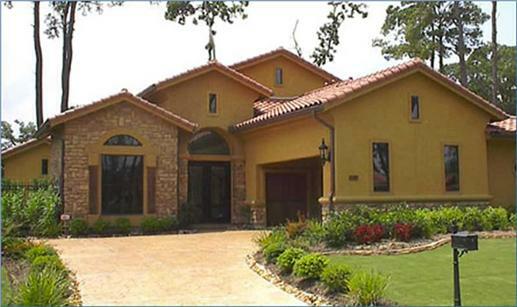 Very similar to the Mediterranean style, the Spanish house plan is particularly suited to tropical or coastal areas, or generally places with warm climates. In the U.S., Spanish styles are predominant in Arizona, California, Florida, New Mexico, Texas, and the Southwest. 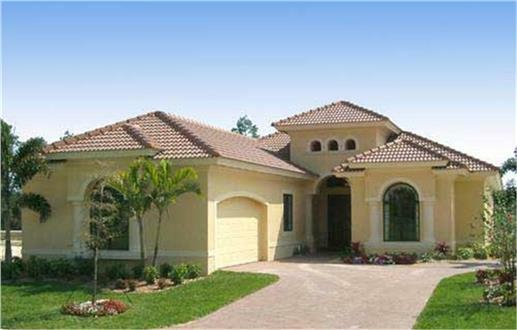 The homes can range from one story to mansion-like structures with side gables and terra-cotta tile roofs. 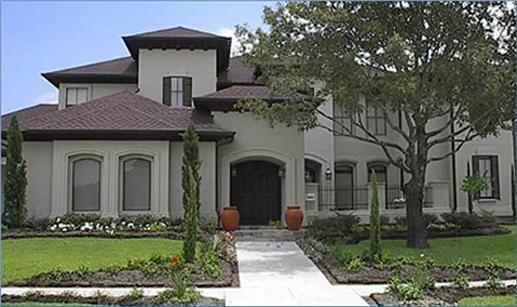 Similar features, different dimensions: Check out the courtyards, terra-cotta tile roofs, and arched doors and windows of these Spanish-style homes: a one-story (left) with three bedrooms, three baths, Great Room, open floor plans (Plan # 133-1029), and a two-story five-bedroom, four-and-a-half-bath home with a study, family room, library loft, and open floor layout (Plan # 134-1339). 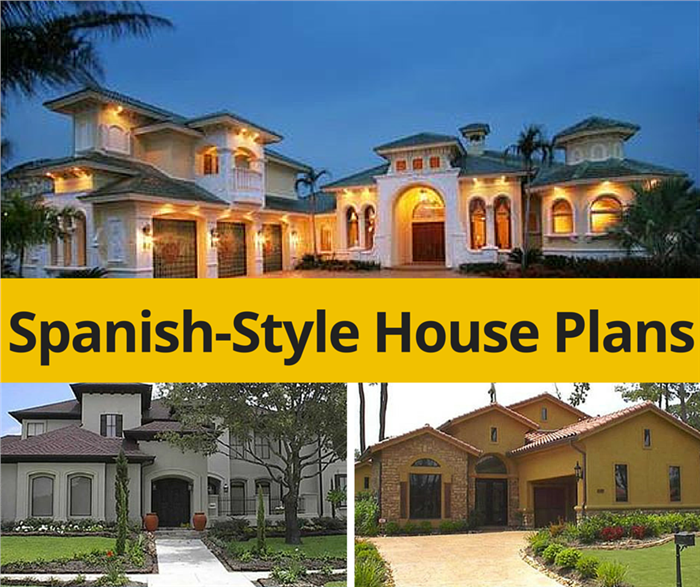 Dating back two thousand years ago, the Spanish-style house plan is rich in detail and history. Because Spain was conquered by the Romans and the Moors, the country’s architecture is heavily influenced by these cultures. The thick masonry walls and other classic details originated with the Romans. 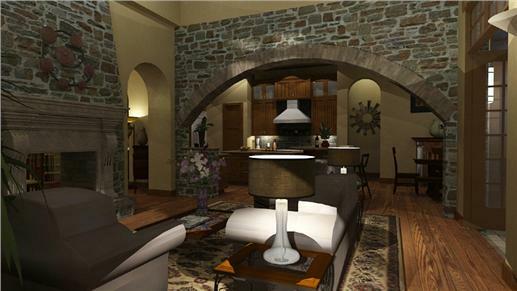 Two ancient cultures converge in this two-story home: thick masonry walls are borrowed from the Romans, with the mosaic tiles and arches around the home coming from the Moors (Plan # 117-1093). 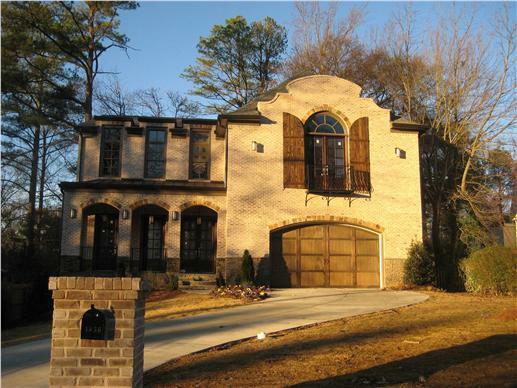 The Moors introduced arches, domes, stucco exteriors, shaped columns, and intricate ornamentation on windows and doors. 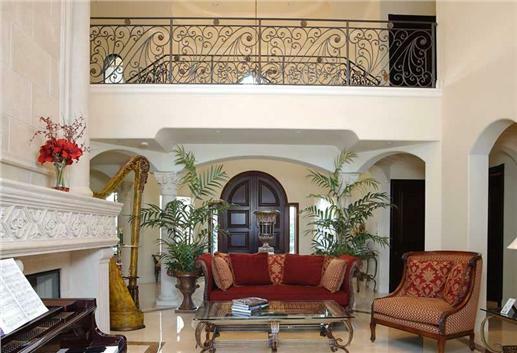 A grand foyer leads to the living room of this elegant two-story, six-bedroom Spanish-style home (left). Look at the arched openings, the wrought-iron railing on the second floor, and the fireplace mantel’s intricate ornamentation (Plan # 107-1085). 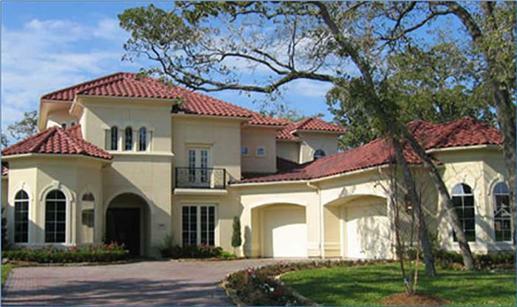 On the right is another beautiful two-story Spanish-style home, featuring a front door with wrought-iron details (Plan #190-1018). Open the sliding doors of the living room, and enjoy a stunning view of the patio and pool areas of this gorgeous two-story, five-bedroom Spanish-Mediterranean-style home. 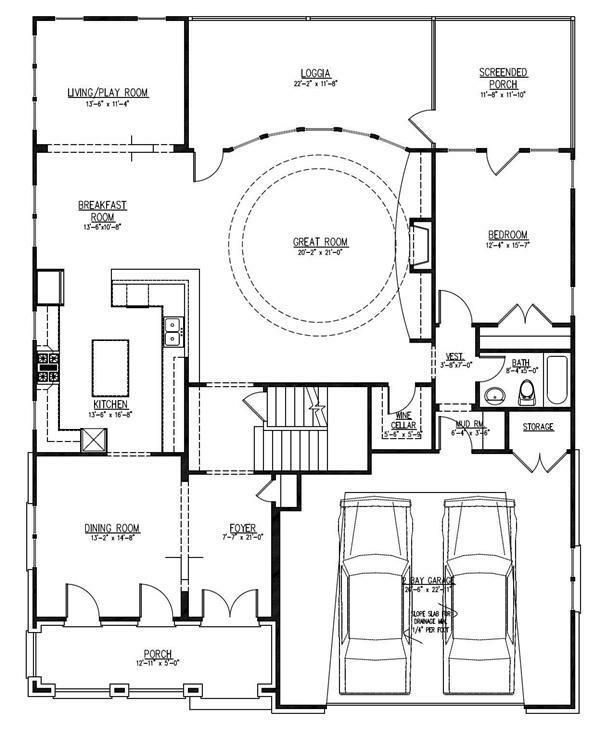 The layout allows the indoor space to flow smoothly into the outdoor space (Plan # 175-1073). 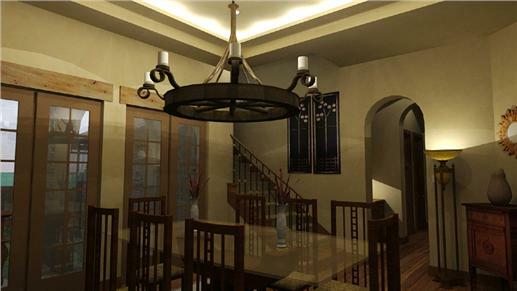 Within the Spanish house plans category are several popular styles that blend elements and motifs to create comfortable and relaxed spaces in the home. A revival inspired by the Spanish Franciscan mission churches (think Alamo! ), the Mission style was quite the rage in California in the late 19th century—and was part of the Arts and Crafts movement. It quickly spread to the Southwest, and soon after to the rest of the country. 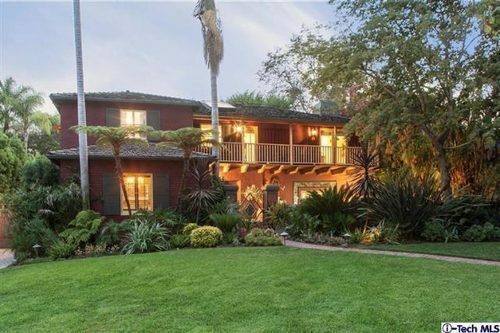 Like most Spanish-styles, the Mission Revival home features stucco exteriors, arches over doors and windows, flat or low-pitched red tile roof, covered entryways, exposed rafters, and parapets (walls that extend above the roof). Older Mission Revival-style homes may even have a bell tower. A two-story, five-bedroom Mission Revival-style-inspired home highlights the signature features of the Spanish style: arches over doors and windows, exposed wood beams, wrought-iron railings on the porch and balcony—and a parapet wall extending just over the red tile roof. Inside are all the amenities of a modern home: wine cellar, game room, mudroom, fireplace, a covered rear porch, a media room, and a second floor-laundry area (Plan # 152-1010). On the right is a plan of the main level showcasing the open floor layout. The Spanish Colonial Revival, or Spanish Eclectic style, emerged in the early 1900s—and reached the peak of its popularity from 1915 to 1945. Borrowing heavily from Spanish Colonial elements, the style officially began in 1915 at the Panama-California Exposition held in San Diego. The Exposition celebrated the opening of the Panama Canal and showcased the work of Bertram Goodhue, the architect commissioned to design Spanish-inspired buildings at Balboa Park. In contrast to the simpler Mission style, the Spanish Colonial Revival featured more intricate patterns and elaborate details—seen in tilework and wrought-iron grillwork on the windows and doors. Other features include covered entrances, balconies, low round towers, and heavy wooden doors. Walk up the paved driveway of this two-story, five-bedroom Spanish-style home, and make a note of all the exterior details: arches on the doors and windows, wrought-iron grillwork on the second level-balcony and windows, and the wood door (Plan # 134-1329). One of the architectural designs indigenous to California, the Monterey Style—a combination of Spanish and New England Colonial architectures—originated around the 1830s. Thomas Larkin, the first (and only) United States consul to Mexican California is credited with bringing the style to the Bay Area. Larkin built his residence in Monterey: a two-story New England Colonial structure with adobe construction. His home featured a balcony on the second floor—an unusual sight in an area dominated by single-level homes. 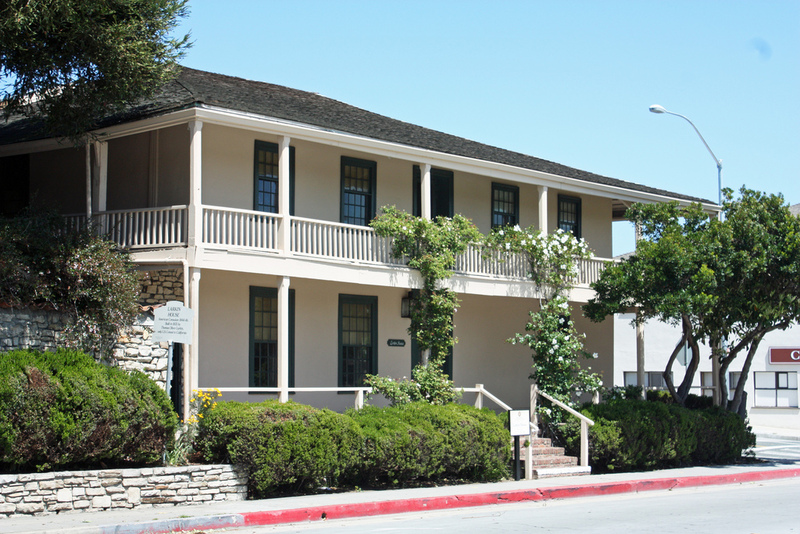 Larkin House in Monterey, California—with its adobe walls and balcony stretching across the second floor—ignited a new architectural style in the state. The Monterey style regained prominence in 1925 and remains popular, especially in California’s Bay Area and in some Northwest states. Its most significant feature is the second floor balcony. 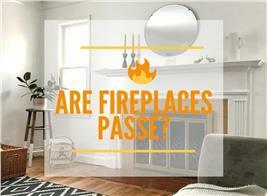 Other characteristics: low-pitched roofs with tiles, covered entryways, thick walls, and exposed beams. The rectangular shape is ideally suited to a larger lot. A modern Monterey Revival home in California with the signature balcony on the second floor. 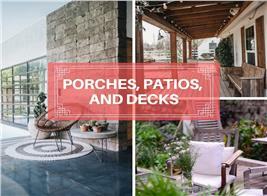 Whether you fancy the Mission Revival, the Spanish Colonial/Eclectic Revival, or the Monterey style, there is something appealing and attractive about the Spanish-style home that calls for a closer look. Footnote: The lead image in this article is a two-story, four-bedroom Spanish style home with a gorgeous courtyard and a fountain. 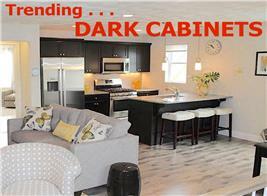 For more on the home, click here (Plan #175-1064).